Beretta Urban Cotton Vest. 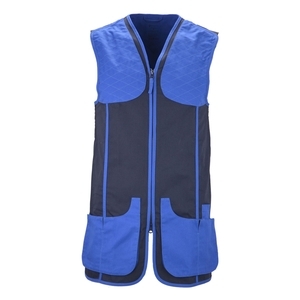 The Beretta Urban Cotton Vest is ideal for shooting in warmer temperatures. This lightweight cotton vest is extremely robust and boasts plenty of great shooting features. It has large front cartridge pockets, reinforced shoulder pads, elasticated shoulders for freedom of movement and it features a facility to insert a recoil shield in either side of the shoulder. I was very pleased with the quality and price of this garment. As yet not been used but appears to be well made. Reasonably priced shooting vest nicely made not used it in anger yet! Arrived in good time and as requested.